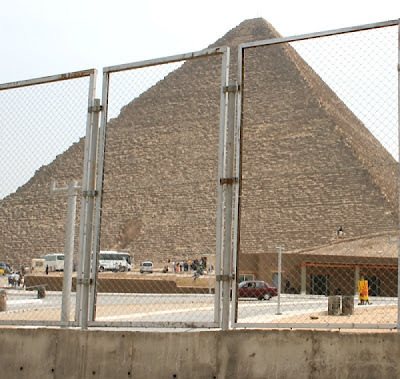 This first photo was taken by Andy from inside the perimeter fence where our perimeter intrusion detection system Flexiguard™ is in operation. 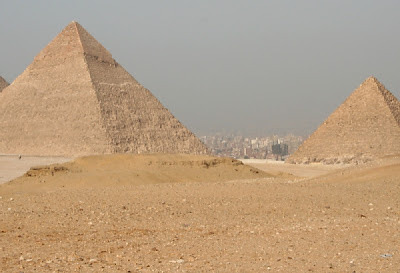 They city of Giza is in the distance. Notice the small figure of a camel being ridden pasts the pyramid? 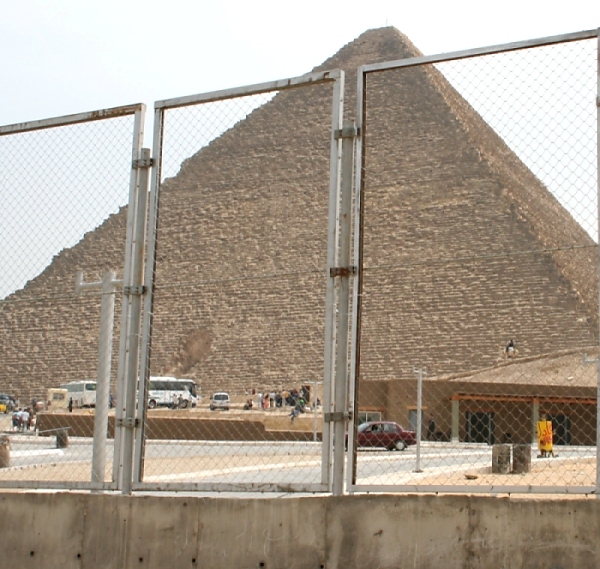 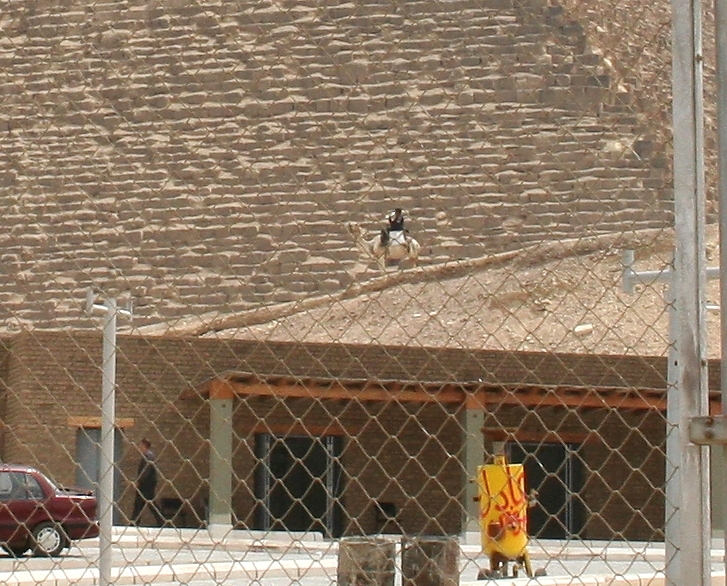 Pyramid, camel and perimeter security fencing all in one shot - not often you see that!